Comping means “to accompany”. 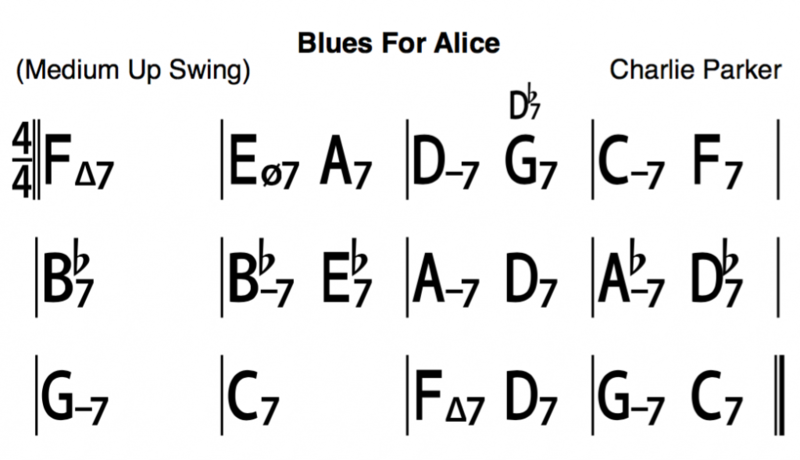 In our case, it means that those chords can be used when accompanying a soloist who is improvising over the song “Blues For Alice”, commonly referred to as “Bird Blues” chord changes. Each diagram represents a full measure, except when slashes are written above the chord—in which case those slashes represent the number of beats for that particular chord. The circled dot on the Gm7 (final turnaround) is an optional replacement for the bass note. 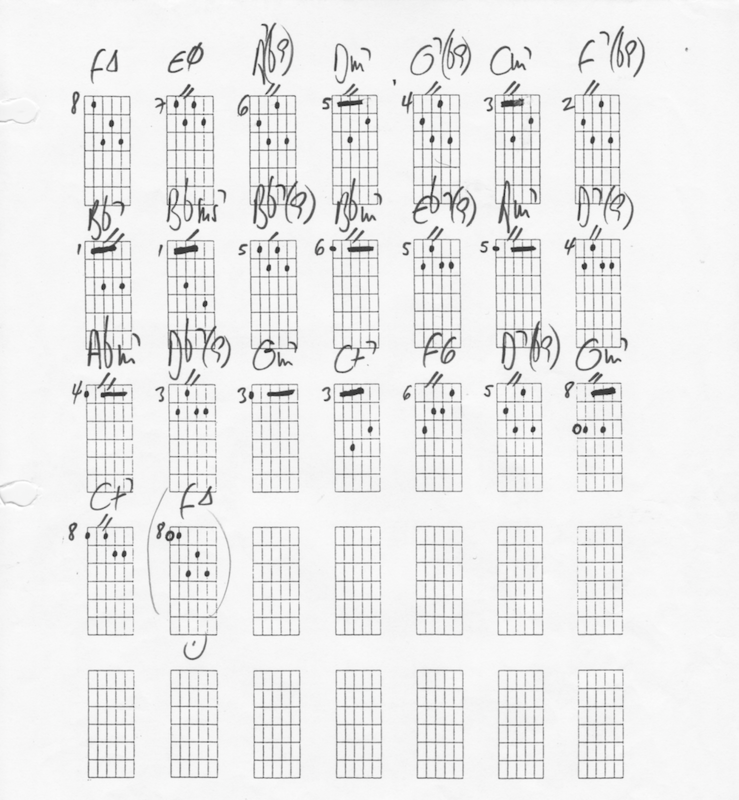 Most of the chords in this study have the root in the bass, except for the diminished 7th chords used as substitutions for some of the Dominant 7 chords. It that case, the dim7 substitutions give us a 7(b9) sound. Also, note that the Bb7(9) in measure 5 is a Dm7(b5) which is a common substitution. 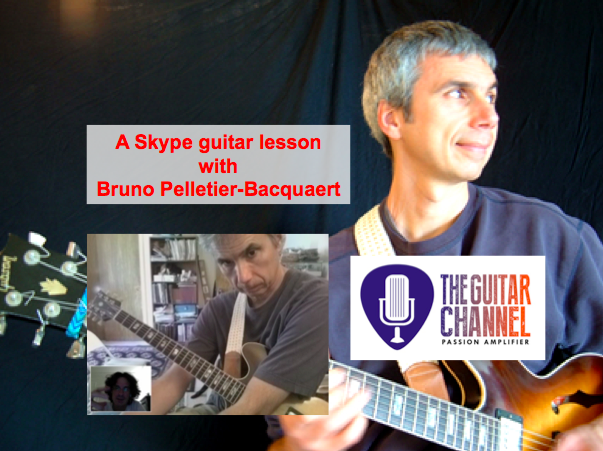 The study can be played with a pick, with your fingers (classical style) or with pick and fingers. Just watch for unwanted notes when strumming. Also, make sure to bring out the top note of all those chords: after all, that is where the voice-leading is important.